Trapp Family Lodge — At the famed Trapp Family Lodge in Stowe, the hills are alive with the sound of music, sure — but also with the huffing and puffing of healthy folks getting in some serious cardio. 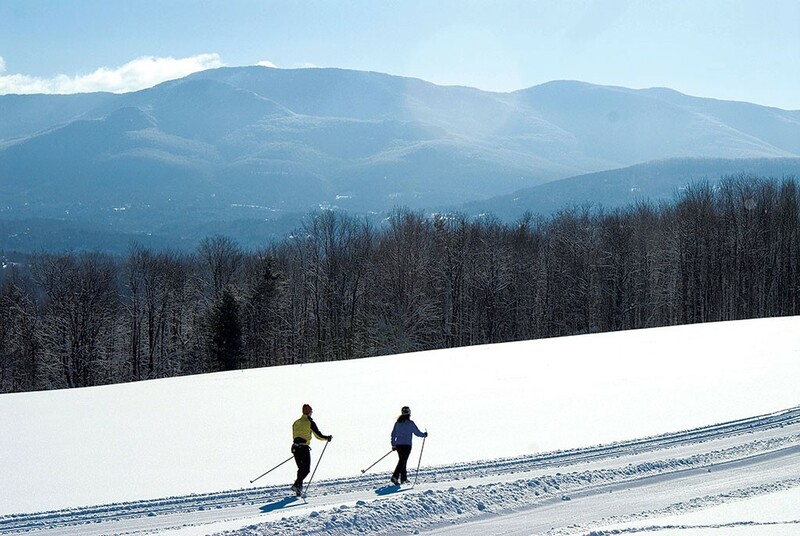 The luxury mountain getaway’s 2,500 scenic acres include 28 miles of groomed cross-country skiing trails and 62 miles of ungroomed trails. The resort’s ski center, which opened in 1968, celebrates its 50th anniversary this year — in addition to its ninth consecutive Daysies award. After a good day on the trails, we suggest toasting with Austrian-style lagers at the von Trapp Brewing Bierhall Restaurant.